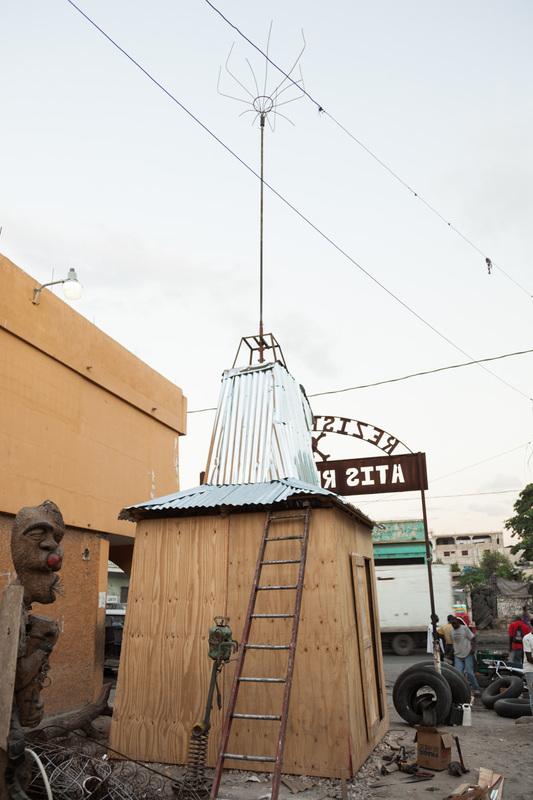 This year, in collaboration with Clocktower Radio, the 4th Ghetto Biennale of Haiti will have its own community and international radio station, broadcast directly from a specially constructed shack in the Grand Rue area of Port-au-Prince. We're calling it Radyo Shak. 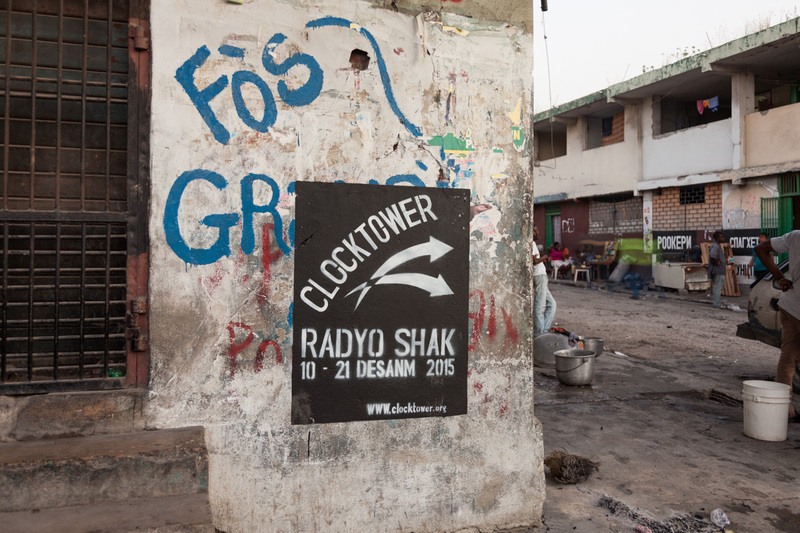 Follow the Clocktower team's adventures through the streets of the bidonville and in the Radyo Shak radio headquarters, and stay tuned as a roster of over 60 artists, film-makers, academics, photographers, musicians, architects, and writers congregate in the Grand Rue to make and witness art. 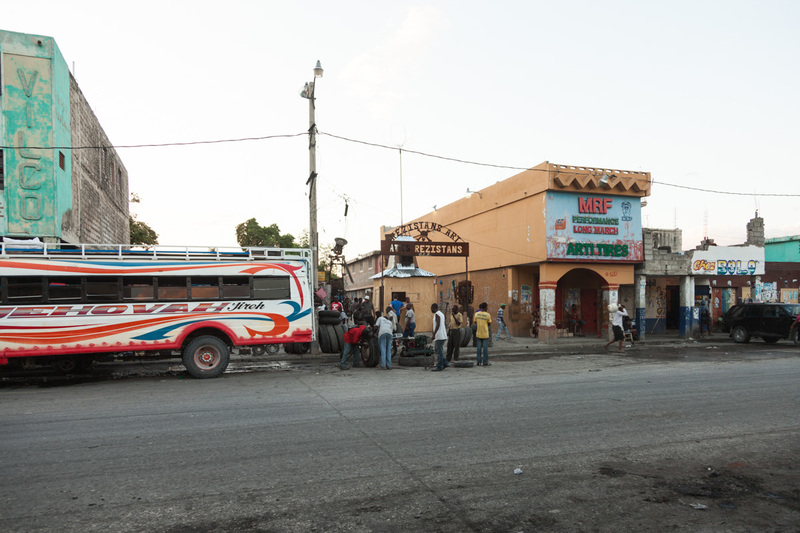 Keep an eye on this page for updates straight from Haiti! 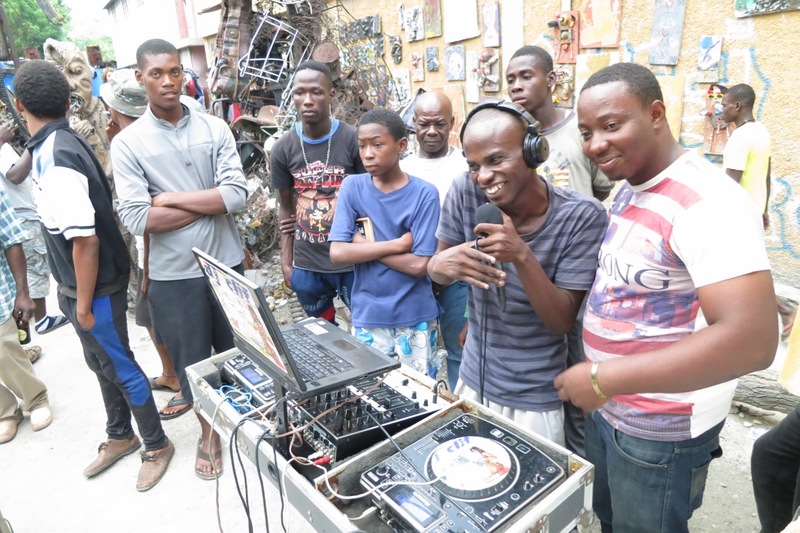 Find out more about Radyo Shak's all-Haitian pre-programming: HERE. 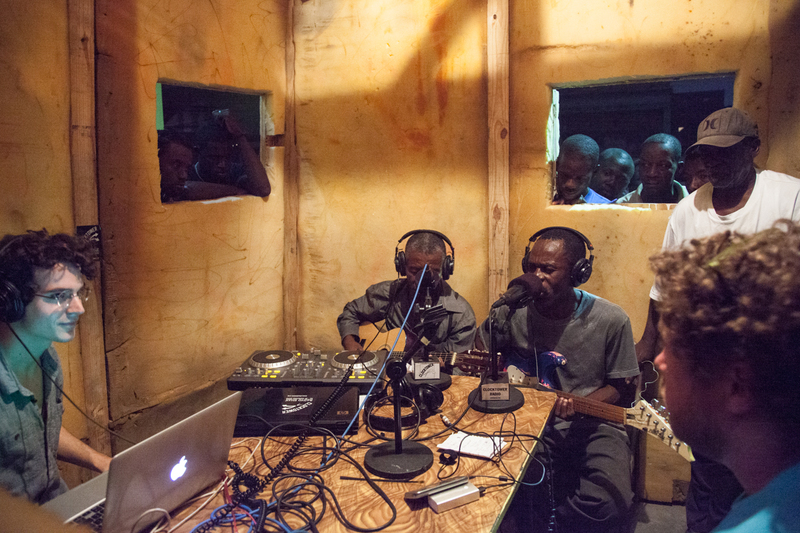 Jake Nussbaum and Richard Fleming in the Radyo Shak. Photo by Lazaros. 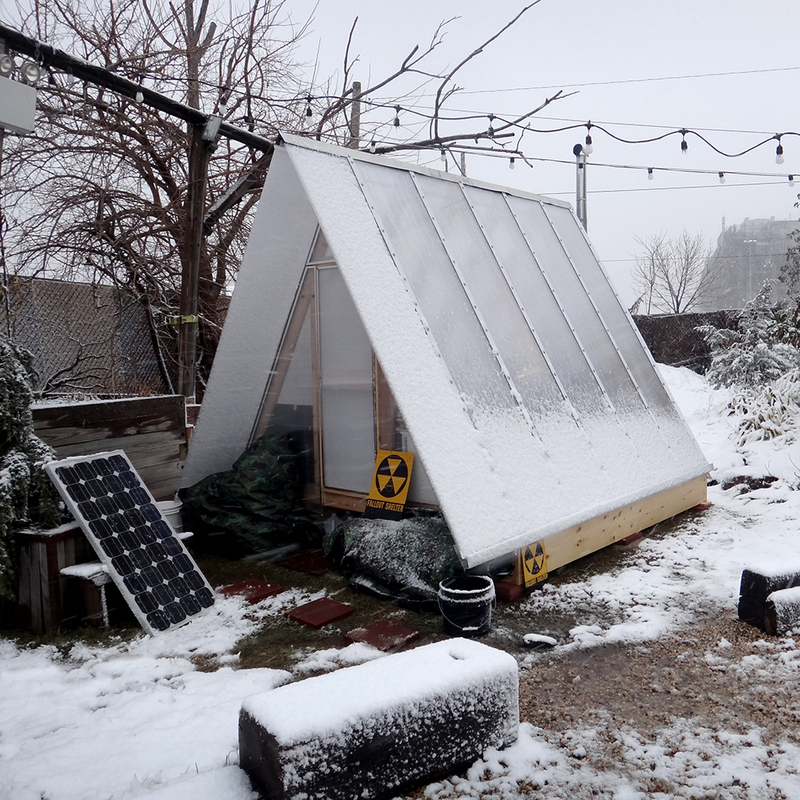 Artist Adam Stennett spent the entire month of February 2016 in the Pioneer Works' garden, without spending a dollar or entering a building for warmth. How? Living in the Arctic Artist Survival Shack, a dwelling of his own design that has everything one needs for physical and spiritual survival. 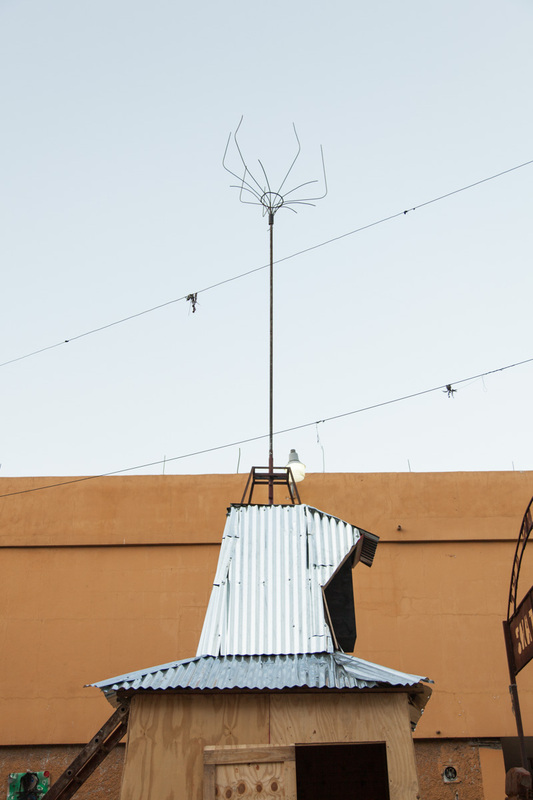 Outfitted with a wood-burning stove, mushroom insulation, and a highly efficient rainwater catchment system, the artist spent his days painting, scavenging, surviving, and leading workshops for the School of Apocalypse program at Pioneer Works. 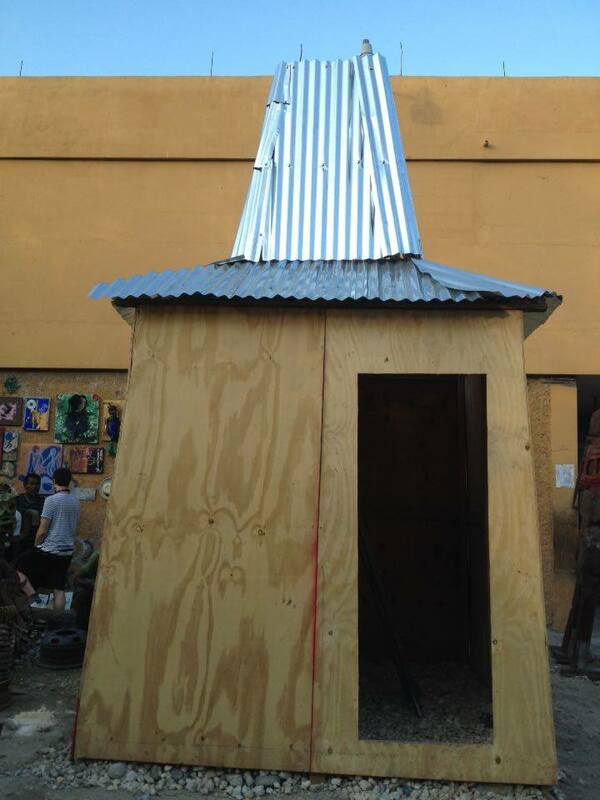 In this interview, Clocktower's Jake Nussbaum visits the Shack to discuss apocalypse strategies, the relationship between creativity and survival, and the joys living off the land (even if it's Red Hook). 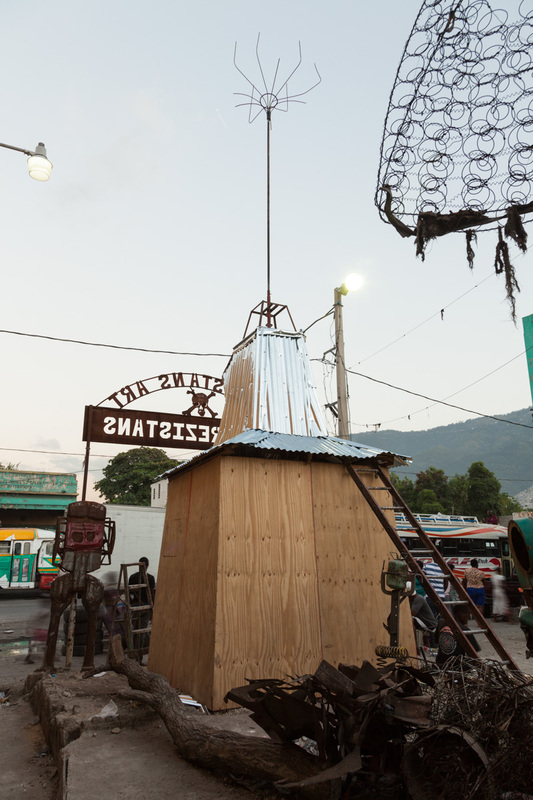 Plus: how to build a rocket stove from found objects and start a fire with nothing but an old broken TV! Adam Stennett (born, 1972 in Kotzebue, Alaska) is an internationally exhibited American painter based in Brooklyn, NY best known for his hyperrealist works. 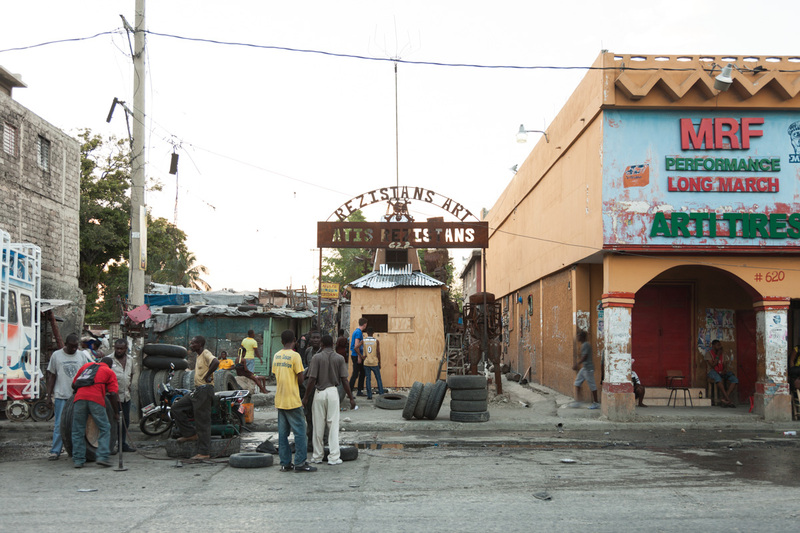 The Haiti Cultural Exchange presents Mizik Ayiti! 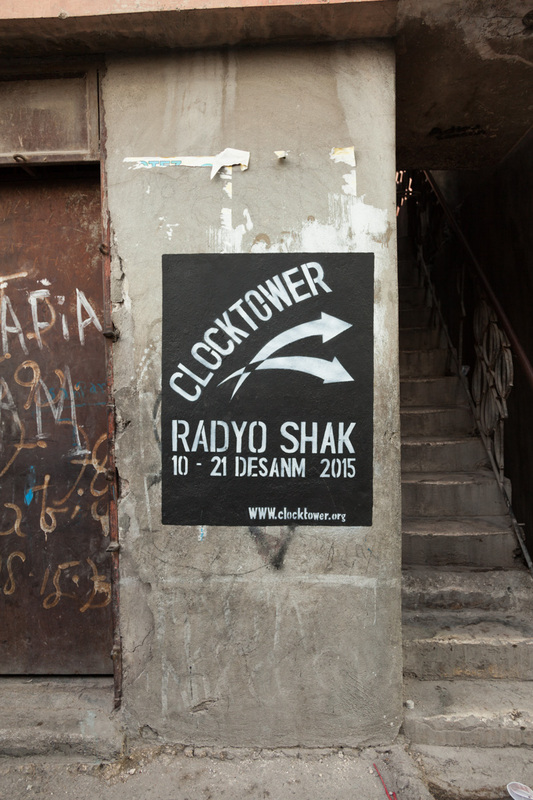 in collaboration with Clocktower Productions, Pioneer Works, and Radyo Shak. 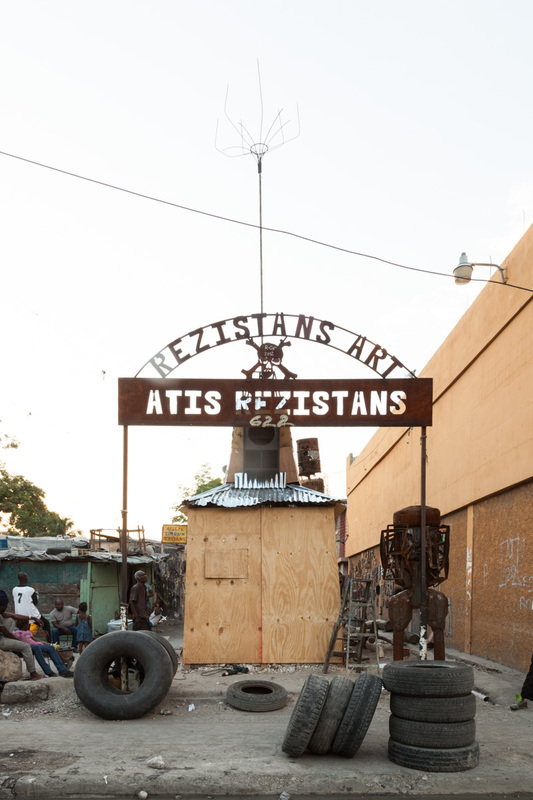 Join us for an evening of DJ sets, live performances, food, and Clocktower's mixtape cassette release, all celebrating Haitian culture. 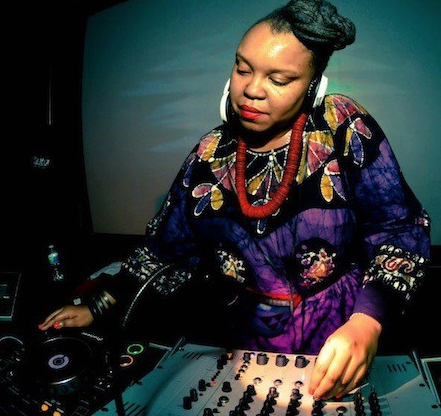 Performers include: Sabine Blazin is a DJ focusing on the exposure and pleasure of African Diasporic music. Her Oyasound EP is currently in the works. 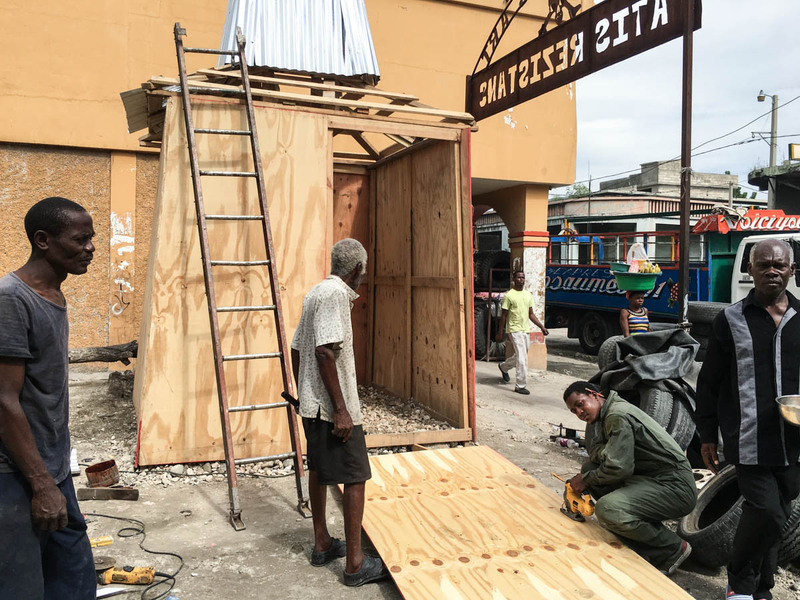 Sherley St. Fort Davilmar is a performance artist and is the founder of a dance company La Troupe Zetwal, started in 2001. 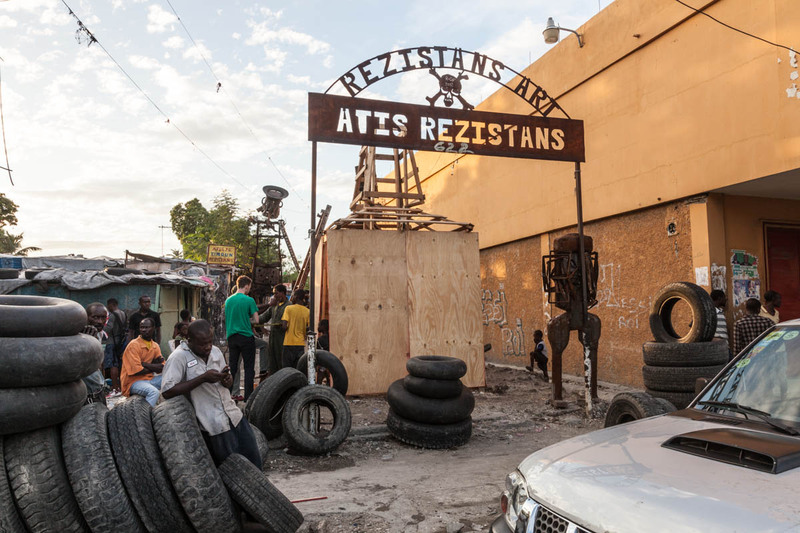 Rodney Okai Fleurimont is a self-taught percussionist and MC. He is in several bands that are based in Brooklyn, all representing the music of the African Diaspora. He is the lead vocalist and percussionist of Brown Rice Family and a percussionist/vocalist for Underground Horns. 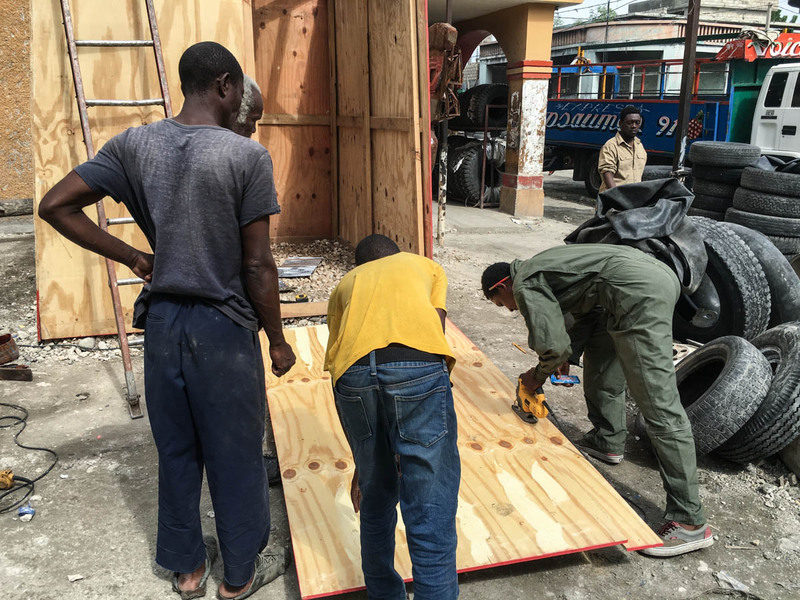 Veroneque Ignace is dedicated to achieving her long term goal to seamlessly combine her passion for Haiti, people, medicine, and dance in such a way that allows for large scale healing using choreography and writing.